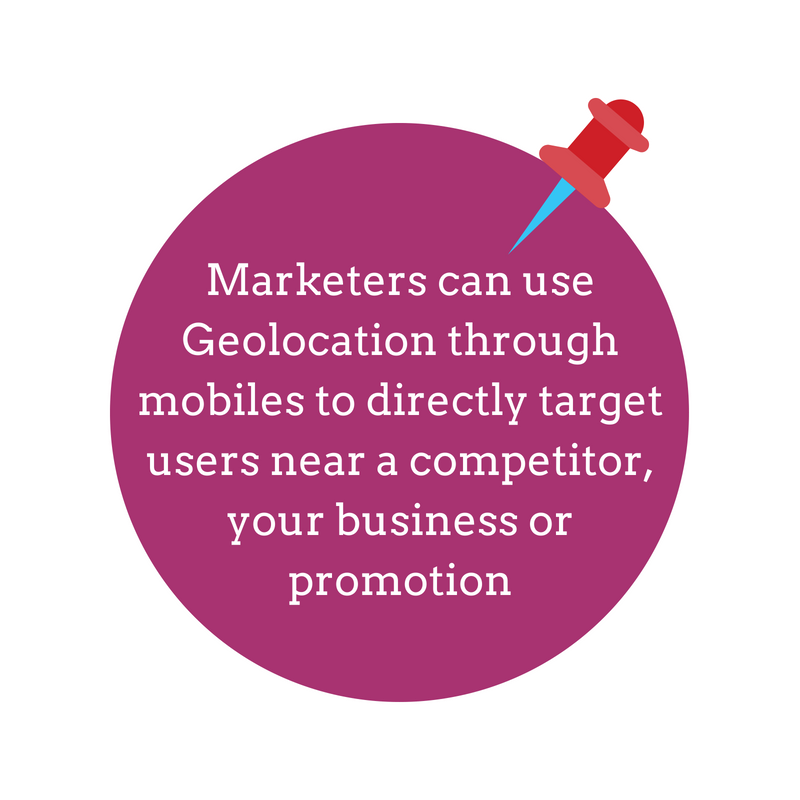 Why Geolocation should be used by all Marketers! The growing use of smartphones around the world already triggered a lot of companies to invest more in the use of mobile data. In our previous blog we already talked about How Mobile Data enables businesses!. This week we focus on the strategy of particular department namely marketing. How can mobile data collection help businesses understand the patterns and trends in everyday actions or movements of users? And more importantly how can the business establish a connection with them? For marketers this information becomes more important than ever, being able to engage with customers or potential customers exactly on the places where they are. 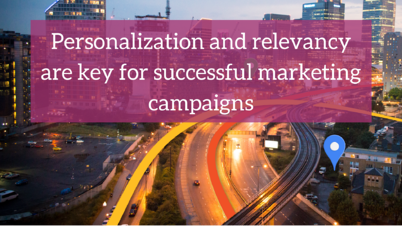 Marketing campaigns can be optimised by using location data. This blog, will show how the use of geolocation can boost the efficiency of your marketing department. Being relevant is key for a successful marketing campaign. This is the conclusion of the “Meaningful brands” study established by the media agency Havas, which questioned 375,000 people across 33 countries with the aim to know if good content marketing has value or not for the consumers. 60% of respondents said that the content currently created by brands is “poor, irrelevant or fails to deliver”. By providing good content and then by being relevant for customers, brands are boosting how meaningful they are. According to Havas, brands need to understand what sort of content works for their audience and where the opportunity is. Overall, companies in the IT sector are leading the global ranking of the most meaningful brands, the first one is Google, followed by PayPal and Whatsapp. To reach such relevancy, marketers have to target consumers individually, providing them information that’s relevant to them. This leaves businesses with the challenge to develop marketing campaigns that are captivating and with added value at the same time. 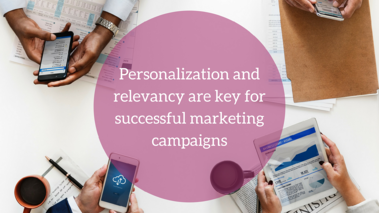 Personalization and relevancy in marketing campaigns can be clearly defined, but still is remains a challenge. For instance, personalization is using information, such as a person’s name, country, interests, to communicate directly. However, the name is personalized while the offering might not be, and most likely everyone on the mailing list is receiving the same offer. This is why relevancy comes in to place after personalization, creating the real extra added value your marketing campaign. Basically, creating communication crossing the path from the what you are promoting to the who you are talking with. You create offers and incentives which are relevant to the person on the receiving end. But making each consumer feel they are receiving customized and relevant information is easier said than done, especially when it comes to reaching global audiences and even more with the increasing privacy concerns. According to the 2017 State of Consumer Privacy and Trust survey, 69% of consumers are concerned about security and privacy with Internet of Things devices and 68% don’t trust brands to handle their personal information appropriately. Moreover, nowadays the traditional one-size-fits-all approach used by many businesses no longer works as consumers have taken control of how and where they interact with brands, and are asking more for individuality in the relationship with companies. Reaching relevancy goals by using Geolocation. Gathering location data brings many benefits as, discussed in our previous blog, it helps to create moretailored and relevant marketing outreach for potential customers. There are different ways of using geolocation tracking all of which being used to provide interesting content for your consumers. Marketers can geolocate and target customers within a certain distance of a business, an event or even the possibility of targeting customers within a certain distance of a competitor’s business. Moreover, marketers can get important information thanks to location data as it leads to optimising and reviewing the success of campaigns across regions. Helping to identify the locations where a particular message or strategy has more impact and where alternative approaches should be tried. Marketing campaigns targeting customers near a business or event can be seen as more impactful for any type of business or product, and this can be done easily through apps like Google Maps API or through web searches. Considering the growing use of mobile devices, marketers can use targeted mobile marketing in order to feed the user’s need for convenience. Now, marketers can show a potential customer exactly what they want, need or what is close to them, pushing them to achieve their goal without being intrusive. This is where the magic of geolocation comes in to play through mobiles. This technique can be also used for sending special deals or promotions based on location data of users, for instance sending coupons or sales offers in a particular area. The challenge of marketers is to attract potential customers to engage with their business rather than them moving to competitors. Once again, geolocation allows you to show your products or services as first results on the mobile screen of your users. Accompanying this with targeted mobile marketing is a very powerful combination for businesses that are located near their competitors, as it can help influence potential customers to go to their location rather than others. In addition, showing a promotion can be also used to definitely attract the customer to your customer while dealing on similar products from different stores. Mobile marketing is the best way to generate customers, best done by using geolocation data. This is a tool all marketers should rely on as it provides them to give users an excellent mobile user experience. From showing relevant content of a store or restaurant nearby, local promotions and products all based on their location. With consumers demanding more tailored and localised experiences, the new main challenge for marketers is to fulfill this demand and engage with as many consumers as possible while staying a step ahead of their rivals. Tailored marketing has become a new term for marketers and customers benefit by getting only relevant content and promotions they want. How far are you with adopting location data as part of a marketing strategy?